I tweet. You can find me under my professional moniker of @writetechnology. I’ve been tweeting since the very beginning (I have Early Adopter Syndrome). 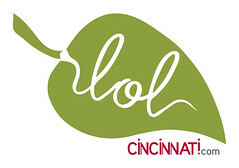 Lately my tweets have been sparse, as I’ve been putting together a failing class reunion (failing!) and all my attention has been on Facebook. Apparently I don’t do well at handling both at the same time when one is full throttle. That said, as soon as this reunion business is over, I’m taking a much needed break from my personal Facebook page (and seriously thinning my friends list), and heading back to Twitter. It was always my first love anyway. Earlier in the year, Twitter announced that they are working with CrushPad to create a Twitter-branded wine called Fledgling. I have my own suspicions as to why they decided to do this, based in part on the wine leanings of a now-former employee of Twitter. Regardless of why they did it, proceeds from the wine go to charity. Crushpad is a cool place. Located in Napa, they provide grapes from both California and French vineyards. They also give you a wine maker and associated team and a complete winery that focuses on small lots of wine. Crushpad provides grapes from top California and Bordeaux vineyards, an industry-acclaimed wine making team, and a state-of-the-art winery 100% focused on making wine in small lots. It’s a brilliant idea, making it possible (and affordable) for people like you and me – or more likely a group of people like you and me – to create their own wine and label. It’s not a one-bottle-at-a-time thing. It’s your own winery. As for the Twitter wine, for each bottle that you purchase, $5 goes to help Room to Read, a children’s literacy organization that works worldwide. Fledgling sales, in particular, will help promote literacy in Uttarakhand, India. Both a Pinot Noir and a Chardonnay are available. I pre-ordered a bottle of the Pinot Noir. Bottles cost $20, but shipping (at least to Ohio, where I imagine they are pulling strings and working around the system) is a whopping $20 as well. Because I really wanted to try this wine – and I wouldn’t expect a charity wine to provide press samples – I went ahead and ordered it in spite of the shipping charge. 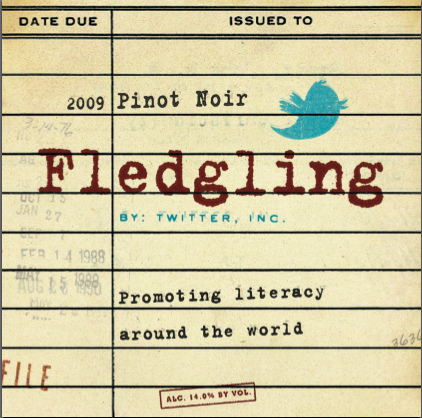 Follow Fledgling Wine on Twitter (of course).